These wild and fierce mercenaries are well armoured and equipped. They ask a high price for their services and like most mercenaries are not too fussy about their employers. 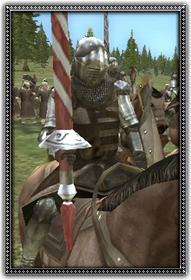 Once they charge into melee and run down their foes, most generals will soon forget how much they paid for them.